leaves but there are still some green leaves mixed in. mixed with natural orchid fragrance. This Da Wu Ye Phoenix Dan Cong Oolong Tea enjoys a smooth taste with indication of high orchid fragrance and long-lasting Qing Xiang aroma. 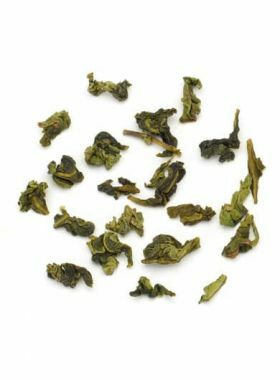 Du Wu Ye, translating literally to “big dark leaf”, is a cultivar of the Phoenix oolong tea family with leaves that are usually very large and dark in color, which gives it its name. Du Wu Ye is a typical example of Qing Xiang Dan Cong oolong tea, famous for its natural orchid fragrance; this particular type can be harvested in all the seasons of spring, summer, autumn, and winter, with Teavivre’s being a spring harvest. When brewing, the first impression of this tea is its natural floral fragrance, gentle and soft, that then turns to sweeter and heavier undertones. It has a soft and smooth taste with a long-lasting Qing Xiang aroma, and lingering high orchid fragrance. This tea can be steeped multiple times, and doing so will bring the leaves out to their full size; the edges of the leaves are reddish brown in color, lovely to see. After drinking this tea, it leaves a sweet taste in your throat that remains for long after. Shi Tou Jiao Tea Garden is located in Fenghuang Town, next to the Feng Huang Reservoir. With about 900 meters altitude, it is surrounded by the fog and rain all around year, and the natural geographical environment is moist and superior. The soil here belongs to yellow soil, which is very suitable for the growth of the tea bushes. The tea trees here are all more than forty years old, allowed to grow naturally without any pruning or other human maintenance. Because of the prime geographical conditions here, the tree trunks and branches are coated with thick moss, a unique feature of high mountain and ancient tea trees. 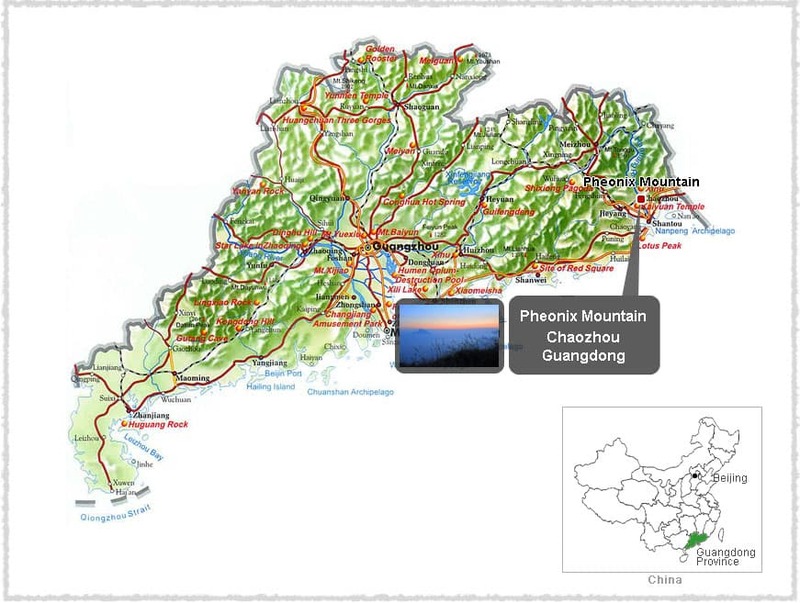 The Chaozhou Phoenix Mountain is known for its tea, among the 73 Phoenix Mountains. It has beautiful scenery, fresh air, and a humid and mild climate, with an annual average temperature of about 20C and average annual precipitation of around 2100 mm. 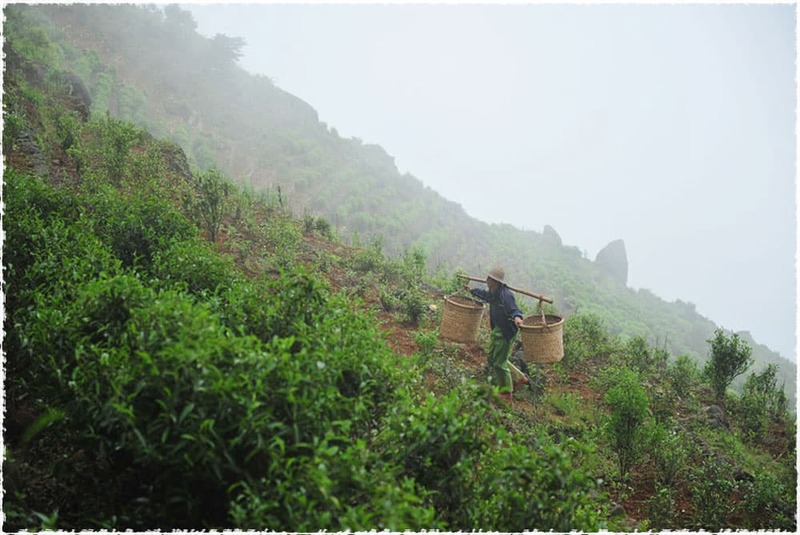 This mountain is not only a tourist destination, but also the main production region of China’s well-known Phoenix Dan Cong oolong tea, which draws its unique fragrance and taste from the area’s climate and soil. In 1982, Dan Cong was recognized as one of the 32 most famous teas in China. 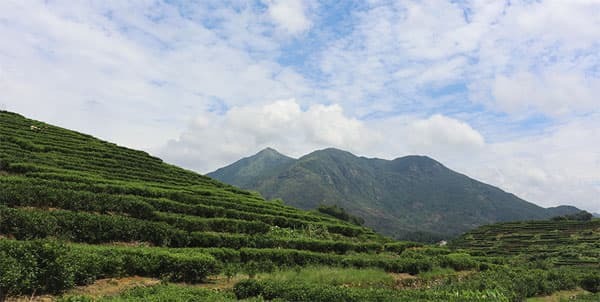 Phoenix Mountain has a total of over 20,000 acres devoted to tea gardens, among which is an ancient tea forest of over 3,000 trees all between 200 and 400 years of age, with some “Song Zhong Tea King” trees as old as 600 years. 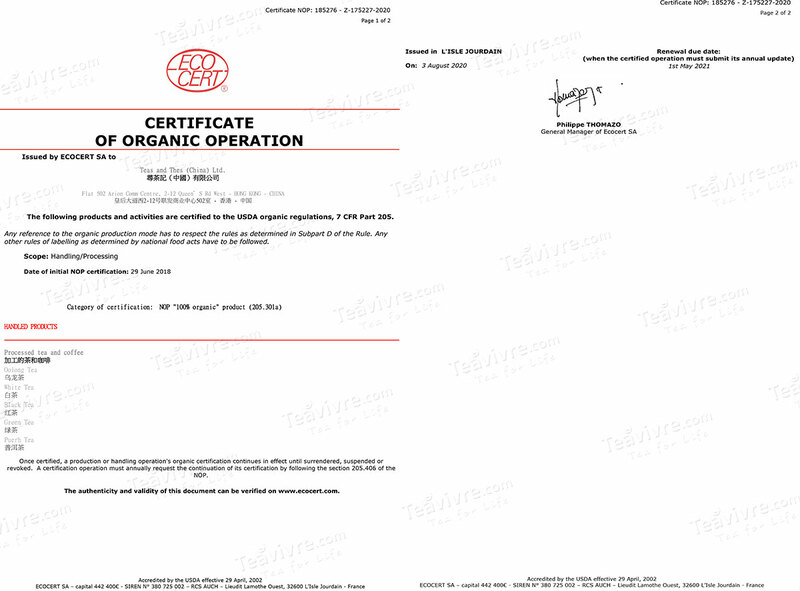 It is thanks to Mr. Li that we can offer you this Da Wu Ye Dan Cong oolong tea. Mr. Li comes from Chaozhou, Guangdong, and met Angel at a tea expo where he heard that she was searching for good, quality teas. He recommended several floral Dan Cong oolongs, and after tasting them Angel found that they are different from the Guang Dong Phoenix Dan Cong oolong tea also offered on our site: even if the aroma is strong and powerful, it will not block out the flavor of the tea itself. Instead, the aroma and flavor work together and bring out the best in each other, which stood out to Angel. 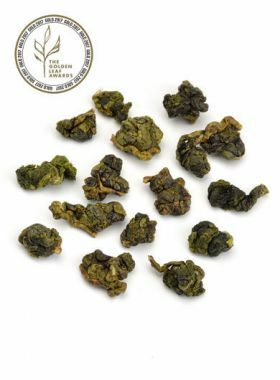 Da Wu Ye is a medium-leaf varietal of tea, selected from the natural hybrid of Shui Xian “Water Sprite” Phoenix oolong variety. 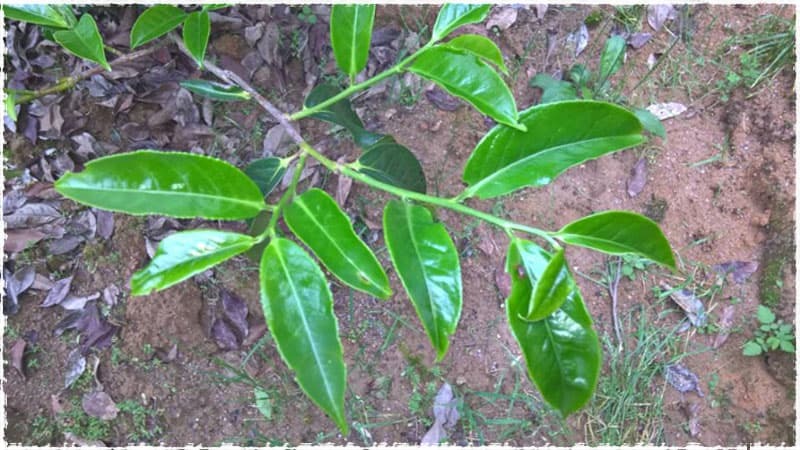 Its leaves are thick and soft, smooth on the surface with downy hairs, dark green in color. The size of the mature leaves averages 11.2cm in length and 3.8cm across. The leaves are oval in shape, and the plant itself is of a highly aromatic variety of tea.